Inspired by landscapes, the Horizon collection of glasses feature four hand engraved patterns; delicate dots are hand etched, building up to create layers of lines, reflecting the contours of natural scenes. 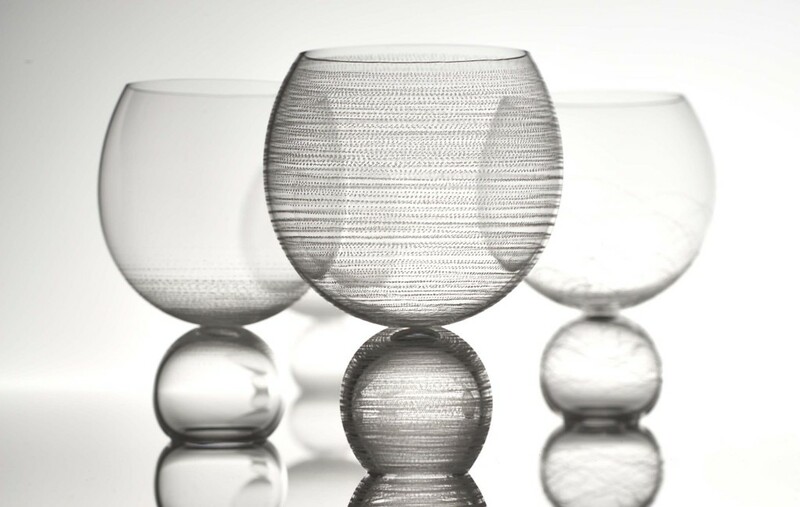 Each glass is unique, the main ‘vessel’ and base elements being hand blown and paired up, before one of the four engraved patterns is applied. The Horizon series of glasses are hand made by Vezzini & Chen in their London studio and are designed with both the ornamental and functional in mind; a piece to be enjoyed both on a shelf or on the dining table.